My Space Shuttle is having an issue with its 4th player display. When plugged in it causes the 3rd player and credit display to have missing segments. When unplugged the remaining displays function as normal. I have swapped ribbon cables, displays and positions on the board. Every other display, cable and board output test fine. The 4th player display is always missing segments causing the others to malfunction as well. My question is can anything be done to fix this issue with the display in question or am I looking at purchasing a new one? I reflowed the pins which did not address the issue. 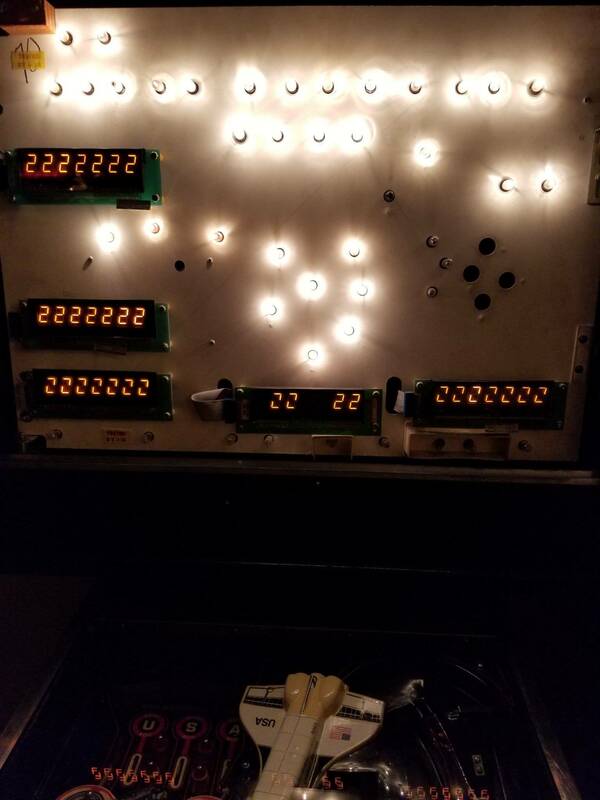 I have repaired bally 6 digit displays but it does not look like anything can be done to fix these. I'm guessing it's a issue with the glass. Thanks in advance. There is a shorted segment on the player 4 display, this can't be fixed without replacing the glass on the circuit board. Big Daddy's has these for sale still.